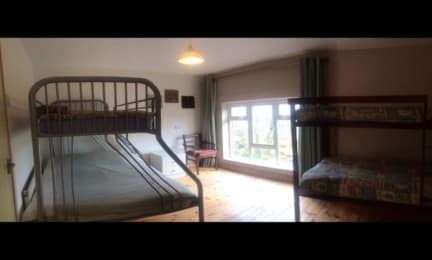 Dingle Gate Hostel - Dingle Peninsula i Dingle, Irland : Boka nu! The Dingle Gate hostel is a newly renovated family run hostel. It is situated in the heart of the Dingle Peninsula, 1 km east of Annascaul village on the main Tralee/Dingle road. We are 16km from Dingle town, 27km from Tralee and 45km from Killarney. Our hostel is purpose built, family run and offers a very high standard of accommodation and personal attention. 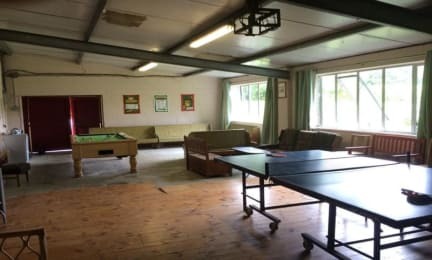 The building is spacious and has a large games room at the back with its own kitchen ideal for large groups. The games room consists of a pool table, table tennis and 10ft movie screen, with space to cater for up to 48 people. The main building also has its own kitchen and tv room. 8 of the 12 rooms are ensuite.We also have private rooms(double rooms) ideal for couples or family groups. We cater for families, groups and individuals.